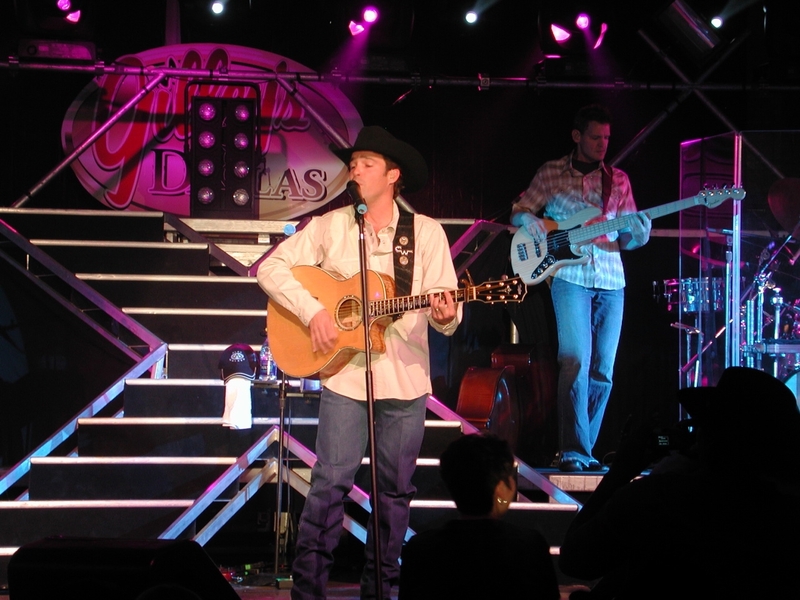 "Clay Walker 2008" by cliff1066 - http://www.flickr.com/photos/nostri-imago/2888885758/sizes/o/. Licensed under CC BY-SA 2.0 via Wikimedia Commons. Actually most of you probably know Clay Walker better than I do. I'm not much of a country music lover. Until recently, I'd never even heard his music. I have to admit after listening to his videos, that he's a very good musician. He's managed to become a country music superstar and he has MS. Multiple sclerosis hasn't stopped him from continuing on his life's path, however. Clay admits that he is lucky to be able to still do the things he loves. He has a full schedule touring, writing songs and recording. He's also able to enjoy doing other things he loves like cooking, fishing, and horseback riding. It seems as though he's never stopped since he got his first big break when a Nashville producer heard him in Texas. Clay's first album debuted in 1993. He became a success almost overnight. During a concert, he started feeling tingling and numbness on his right side. He also had facial spasms. It was 1996 and he was 26 years old. He had just finished his fourth album and his oldest daughter had just been born. After going to the hospital and having several tests done, he was diagnosed with relapsing-remitting multiple sclerosis. This is the last thing in the world a young person wants to hear. Especially at a time when his career is taking off and he's realizing his dream. Clay didn't let MS stop him, though. He prayed about it, started treatment, then continued down the path he had started out on. He is a true champion for everyone who has been diagnosed with multiple sclerosis. This is true in his attitude for living and his efforts to fight MS. He started the Bands Against MS (BAMS) in February 2003. "Being diagnosed with MS hasn't been easy. I choose to view it as a 'bump in the road' rather than a detour, because I have been blessed to still be able to do the things I love. I know not everyone who is diagnosed with MS is that lucky. I want to help them by providing both a resource for information about MS and to take a leadership position in the fight to find a cure for this disease. The Band Against MS Foundation is an extension of those goals." I must say I was pretty impressed with his touring schedule. I know not everyone with MS can do what Mr. Walker does. I admire the fact that he didn't let his diagnosis or his doctors decide how he should live. He is one person who lives his Life in Spite of MS.
Go from Clay Walker back to Famous People with MS.